Could be an ugly week. 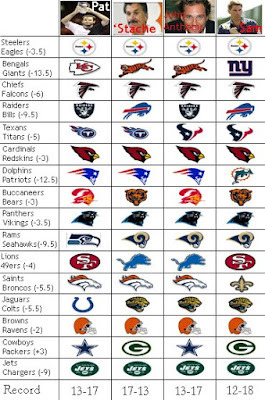 We picked the same on 6 games this week, look for a 1-5 or 2-4 record in those games. I only write about sports that matter in this city.... that would be baseball, baseball, and more baseball. We rely on our Wannstache to report on all things football. Where are you Stache...?